Save time and money by maintaining these five things around your house. If you could save hundreds of dollars on home repairs with the investment of a few minutes of time, would you do it? Here are five commonly overlooked maintenance tasks that lower your costs for energy, repairs and replacements. The more your run your AC, the more dust, particles, pet dander and pollen your HVAC filter traps. Check the filter at least once a month and change when necessary. The payoff: Better airflow allows the system to run more efficiently and means you’ll cut energy costs and extend the life of the system. This one is so easy! Visually check if anything is blocking the float that switches the pump on. Pour in a bucket or two of water to ensure that the pump is working. The payoff: Regular sump pump checks can detect problems before they turn into costly flooding. The coils on your refrigerator are designed to release heat. If they’re covered in dirt, dust and pet hair, they can’t do their job and the compressor will have to work harder. A $6 coil-cleaning brush and vacuum cleaner are all you need for this job. If you don’t know how to do it, here’s a quick tutorial. The payoff: Clean coils will lower electricity costs and extend the life of your fridge. 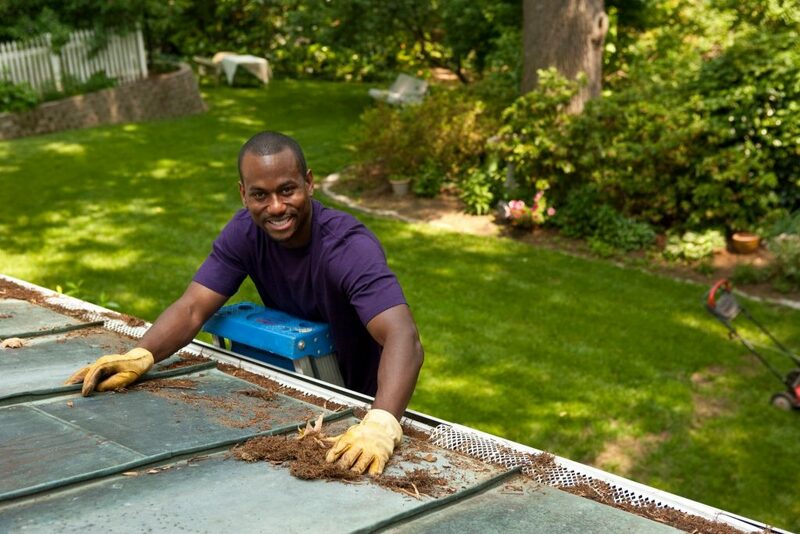 Often, we think of fall as the only time to clean gutters, but spring can throw a lot of debris on the roof, too. (“Helicopter” maple seeds, we’re talking about you!) Now’s the time to clear out gutters and drains to make sure water is moving away from your house. The payoff: Your foundation stays drier and your sump pump won’t run as much that saves money. Flushing your hot water heater removes sediment that builds up in the tank and interferes with heating. Here’s a step-by-step how-to and a video. According to the Rheem water heater company, you only have to drain three to five gallons to flush the tank. The payoff: Faster heating of the water and longer life for your hot water heater. Many homeowners can easily tackle these tasks, however, if you can’t do them safely, call a professional.